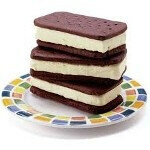 Last month, word came from Samsung that yes, the Samsung Galaxy S II will be getting Ice Cream Sandwich. The question is, when will this happen? We might have a better idea of this thanks to a leaked document obtained by Mobile Syrup which shows an estimate of when certain handsets on Canada's Bell lineup will be receiving their Android 4.0 update. According to the document, Bell is expected to send out the Ice Cream Sandwich update to its Samsung Galaxy S II users sometime next April. That doesn't guarantee anything as far as Stateside owners of the model are concerned, but it does give us a timeframe during which we can be on the lookout for the update. Other Bell phones listed on the document include the HTC Sensation 4G, expected to be the first to get the Android 4.0 firmware update in February. A month later, the HTC Raider should be receiving the download. The Android 4.0 update for the LG Optimus LTE has no date scheduled at the moment. yeah I agree. i still have my eris but with a custom rom so it runs a lot better. And let me speak all HTC Sense 3 users when I say "THAT'S WAZZUP"
Just hope all that lovely VZW bloatware doesn't hold up the Rezound's upgrade. This phone was made for ICS!